Pat Oliver, the Network’s guest-of-honour at the 2016 Jurassic Rally, died yesterday (30th November) following a period of illness. 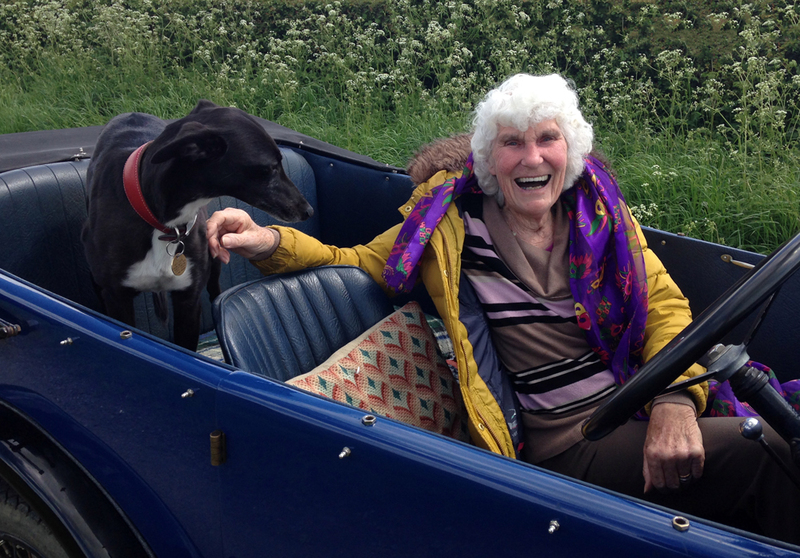 Her daughter Jackie Hammond had notified the Network earlier in 2016 of her Mum’s desire to be reunited with a Minor Tourer, a car in which she had learned to drive in the early fifties and then went on to pass her test. Thanks to current Minor Tourer owners Janie Maeers and John Paternoster, Pat’s wish was fulfilled. Our condolences go to Jackie and all of Pat’s family members.